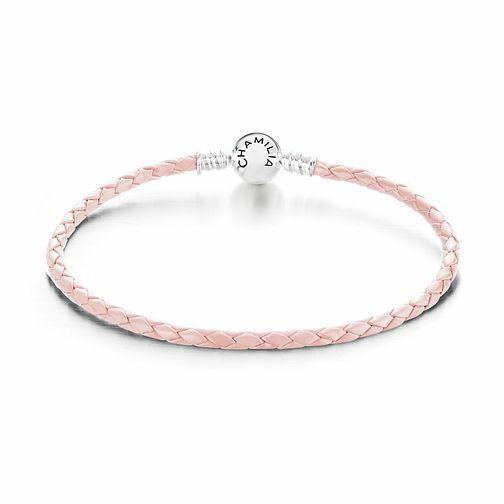 Chamilia blush braided leather bracelet. Discover how many ways you can cherish those you love by creating one of a kind jewellery inspired by the important people in your life. Inspired by your personal sense of style, Chamilia jewellery is as unique as you are. Size Medium.